Azureus, that is now better known as Vuze, is a modern BitTorrent client that uses this P2P net to ease the exchange of all kinds of files among its users. Among its most important features, it's worth noting its great personalization possibilities and its multimedia capacity. 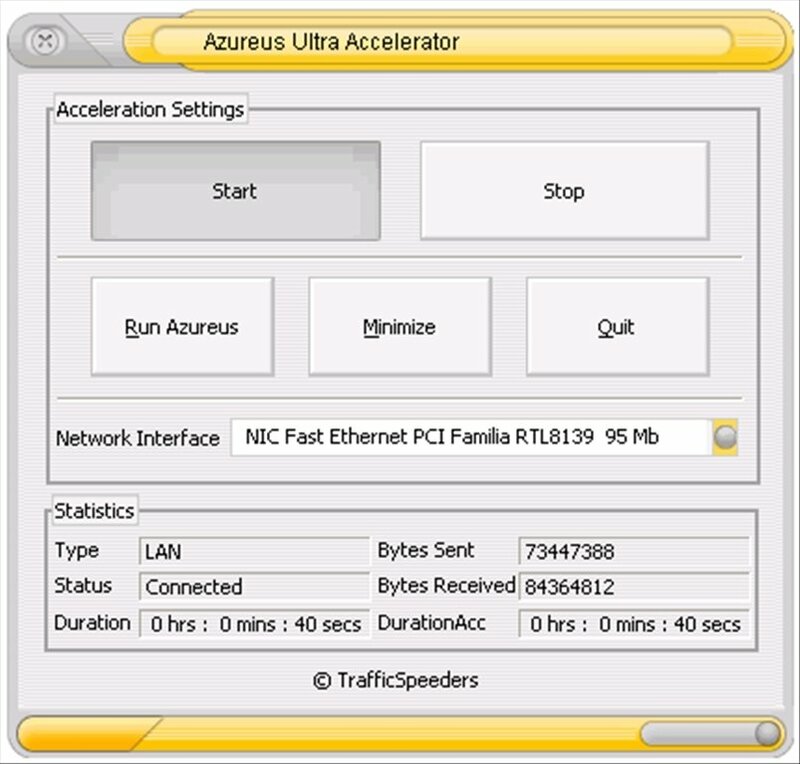 Furthermore, now it can work even faster with Azureus Ultra Accelerator. To be able to improve this BitTorrent client, it is recommended to install Azureus Ultra Accelerator. This is a simple application, that once launched, will stay active in the background. - Simple applications, that stays minimized in the system tray. - Elimination from the download list, of completed downloads and erroneous files. - Automatic source search in intervals programed by the user. Improve you favorite BitTorrent clients performance and increase its download speed thanks to Azureus Ultra Accelerator. For this application to work, you must have the Azureus BitTorrent client installed on your computer.